Charlie Dinnebeck was born on May 1, 1867. As an ambitious young man, Charlie earned a living as barber while living in Missouri. Relocating to Fort Collins in 1902 with his growing family Charlie established the Dinnebeck and Hill Barber shop located at 165 N. College Ave. The barber shop boasted three chairs, elegant baths and the best service in town. 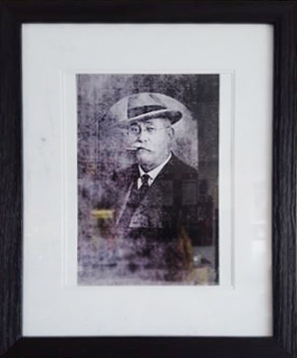 Charlie’s first introduction into the restaurant business began when he purchased the Wano Café and Boarding House with a partner in 1914, which sat next to the barber shop. This launched a venture which would last the rest of his life. 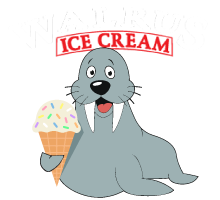 On August 22, 1919 the Dinnebeck family opened Dinnebeck’s Café at the site where Walrus Ice Cream now stands, with hard working Charlie at the helm. The Café was known for its “quick service, cool atmosphere and courteous attention”. Charlie was a permanent fixture at the Café often greeting guests and making sure their visit inspired the hospitality he was known for. Charlie continued to operate the Café until his death on December 26, 1940. Charlie was active in the community both socially and politically and for many years was a member of the Fort Collins Boosters Club which was an organization comprised of local business men who backed the Colorado Aggie’s football team. The Dinnebeck’s embraced a strong devotion to family and the community. Charlie raised five children in Fort Collins and surrounded himself with extended family and friends. 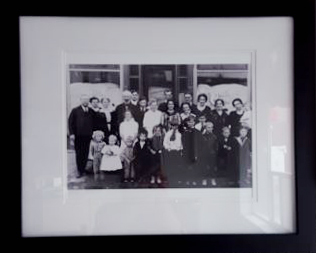 The Dinnebeck’s were known for their generosity and always helped those in need. The basement of the Café was used for many birthday celebrations and parties.